Beyond Scared Straight is an A&E reality T.V series that follows teenagers who spend a day in prison to learn from the inmates the realities of living an incarcerated life. This is an article that explains why Beyond Scared Straight and related programs do not work and are not beneficial. According to Professor James Finckenauer, Ph.D., from Rutgers University School of Criminal Justice, Beyond Scared Straight doesn’t work. When looking at the effectiveness of such programs, one of the things we need to consider is the idea of deterrence in regards to thinking and behavior in relations to children. The Beyond Scared Straight program relies on the concept of vicarious deterrence. Essentially, this is the notion that a person, in this case, a youth, will avoid a negative behavior by experiencing what happened to others who effectuated the same behavior. Although useful to some adults, when this notion is utilized on young people it requires that they think about the future. According to Dr. Finckenauer, kids don’t typically think like that. In one of his addresses, he claimed that kids don’t usually think long-term. He followed that statement by saying that most children are typically impulsive and think short term when it comes to punitive measures being taken regarding an action they have made. There is a matter of thinking that kids have when it comes to vicarious deterrence. Dr. Finckenauer stated in his address that kids know how arbitrary the criminal justice system is. Most children believe they might not get caught when they think about committing a crime. According to Dr. Finkenauer, what young people react to is: (1) How swift is the punishment in terms of the behavior? (2) How certain is it that a consequence will occur? and (3) How severe is the punishment? Dr. Finckenauer also stated that the extreme nature of the punishment shown in programs such as Beyond Scared Straight doesn’t match the expectations of our youth. They don’t picture themselves locked up. Dr. Finckenauer continues by saying that Beyond Scared Straight is developed by adults for kids. The developers of such shows fail to recognize the fact that kids don’t react the same way as adults. That’s why the television series is popular with adults, but unsuccessful with kids. Dr. Finkenauer says that there are 3 types of deterrence in society. The first kind is the undeterrable. An example of someone who is undeterrable is a psychopath. In regards to psychopaths, deterrence doesn’t work at all. Then, at the opposite end of the spectrum are the Catholic nuns, who are already deterred. Finally, in the middle is the general public, which consists of those who are tempted to cheat on a tax return, to run a red light, or to be deceitful on an employment application. 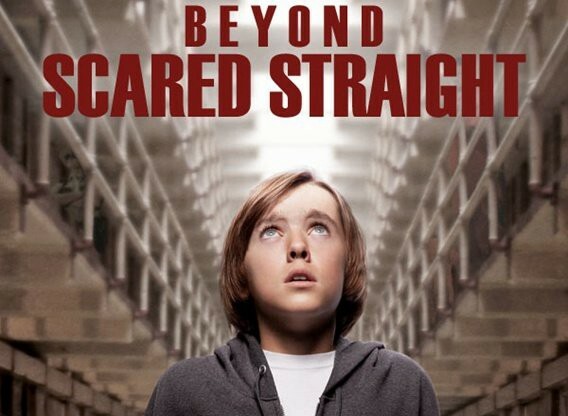 Another reason Beyond Scared Straight programs are harmful is because it doesn’t depict any of the evidence-based programs that have been proven time and time again to be beneficial in reshaping deviant behavior in our youth. Examples of such programs include: Trauma Focused Cognitive Behavioral Therapy (TF-CBT), Dialectical Behavioral Therapy (DBT), Parents As Teachers (PAT), Skillbuilding, and Seven Challenges. We also notice that programs like Beyond Scared Straight rely on strictly being unilateral when it comes to reform in deviant behavior in children. Many years of research from Dr. Ross W. Greene, a Ph.D. who held a position at the Department of Psychiatry at Harvard Law School argues that being unilateral with a child who has a behavioral problem never solves anything. Just like a child who lacks skills in mathematics needs some extra help, a child who has behavioral difficulties and is considered “explosive” is usually a child who needs to be taught the skills of frustration tolerance and managing levels of flexibility. With this knowledge, we can pose the question of how being unilateral in a program like Beyond Scared Straight is going to teach the child how to manage frustration tolerance. Don’t we all become frustrated when we don’t understand something, and we then get chided for having a lack of understanding? The Beyond Scared Straight program tends to focus on teaching the child ‘who’s boss’. The problem with that is that putting a lot of energy into teaching a child ‘who’s boss’ may be counterproductive since the child is typically already motivated and knows who’s boss. A vast majority of the children that appear in programs such as Beyond Scared Straight are children who are explosive and have behavioral difficulties. Another thing these programs fail to inform you of is the reason as to why these kids have the explosive outbursts they do. There are five skills children who have behavioral difficulties typically lack. Another question we can pose is how sending your child to prison for a day is going to teach them those 5 skills. Although rewards and punishments can and may have a place, they do not train the child in the above skills. Dr. Greene also states that society needs to redefine what holding a child accountable means. For most people, holding a child accountable for wrongful actions simply means that the child pays the price for the challenging behavior displayed. Dr. Greene’s definition of holding a child accountable is having the child participate in a process in which they are identifying and articulating their own concerns and perspectives, while still taking the caregiver’s into account. Once the child has accomplished that, they then can work towards a realistic and mutually satisfactory solution to solve the problem. This is statistically more effective at holding a child accountable then the adult imposing their will through unilateral means or sending their child to a program such as Beyond Scared Straight. The reason for this is because the child is participating in and actually thinking about a plan to reduce the challenging behavior and taking the adult’s concerns into account. Inflexibility + Inflexibility = Explosion. When a caregiver is inflexible with a child who is also inflexible, everything falls apart for all parties involved. The same concept can be applied regarding the Beyond Scared Straight program. I understand why parents and counselors would want to place a deviant child who is struggling in a program such as Beyond Scared Straight. It looks great on T.V and they make it appear as if it is successful. However, we have a responsibility as parents and caregivers of our youth — our future — to follow evidence based, statistically proven and successful methods when it comes to caring for these children. The only thing Beyond Scared Straight and programs like it provides is anecdotal, not evidence based. Because there is no evidence that suggests programs like Beyond Scared Straight works when it comes to behavior reform in struggling children, it is best to disregard it and treat it for what it really is — an overly dramatic television series that does nothing beneficial for the youth depicted in it. A Psychology Autodidact Who Proudly Provides Much Needed Assistance To At-Risk Youth. A Publication That Introduces Statistically Proven, Evidence Based Methodologies And Tips For Working With At-Risk, Chronically Inflexible Children.